This is a very stimulating blend of Peppermint essential oil and Goat Milk to yield a very refreshing soap, especially when used in the warm summer months. Naturally rich in caprylic acid (known for soothing and rejuvenating skin), Goat milk also contains lactic acid, which removes dead skin cells, and is believed to stimulate the production of collagen and elastin. 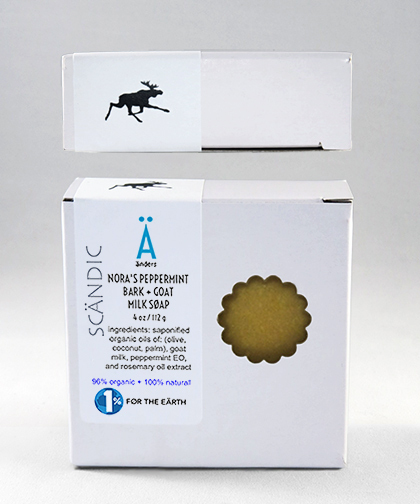 Doctors have recommended using Goat milk soaps for those who suffer from acne, eczema, psoriasis, rashes and sunburn. We are basically vegan-based with the exception of our use of Goat milk in several of our soaps and hand and body moisturizers.